Are you ready for some poop talk? 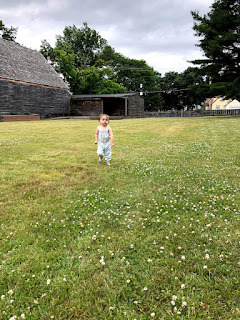 As we approach round two of potty training, I've been reflecting a bit on our first experience. Teaching Judah to use the potty was one of the more complex parenting adventures. It was stressful, so very stressful but also amazing to see Judah learn something so important. And also liberating in many ways. No more diapers!!! But even more limiting because you always need to know where the bathroom is or have a portable potty seat, potentially pulling the car over to use said potty seat in the back of your SUV. Potty training began on a regular morning. We followed the methods in Oh Crap! Potty Training, so I started the day by taking off Judah's diaper and explaining that he was going to use the potty now and that he would be sans pants for a few days. I expected some pee on the floor, but I was not expecting a big dump on the floor about twenty minutes in. Thankfully, knock on wood, Judah hasn't had a poop accident since. After that, the days were filled with constant check ins and reminders about using the potty in between nursing a four month old Maple. I got to a place where the sound of my own voice was giving me a headache. Josh came home one afternoon and I was sobbing on the couch. It was only up from that low. About a week in, Judah said "be right back" and ran to the bathroom and pooped. I have never been so happy! And from that point, I was able to relax again, as much as any mother of two very small children can relax. Another thing that helped me relax was the Potette. 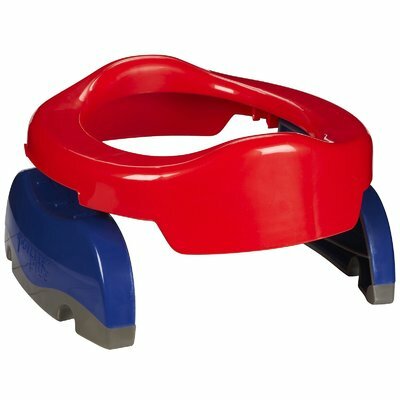 A little contraption that works as a stand alone potty seat when placed over a plastic shopping bag (I suggest double bagging it) or can be used on a toilet seat. The potette was truly life changing. It has saved the day many times. I keep it in this wet bag with a stash of plastic grocery store bags in the front zipper pocket. I suggest double bagging them under the potette when you are using it without a toilet. Judah has used the potette on scenic overlooks and parking lots alike. The trouble is finding a place to dispose of the bag of human feces. I never thought I'd be driving around with a double bagged human turd in my lap searching for a trash bin. Boys seem to have the easier equipment to work with as far as potty training and is concerned. I've made a game out of having Judah pee on my car tires or certain trees while at the park and standing on public toilet seats and aiming into the toilet. I also feel like we miss out on lots of germs in public restrooms. Anyone have any tips for training girls? It seems daunting that we'll need the Potette every time she has to go anywhere.